Today, more than ever, we cannot be silent. 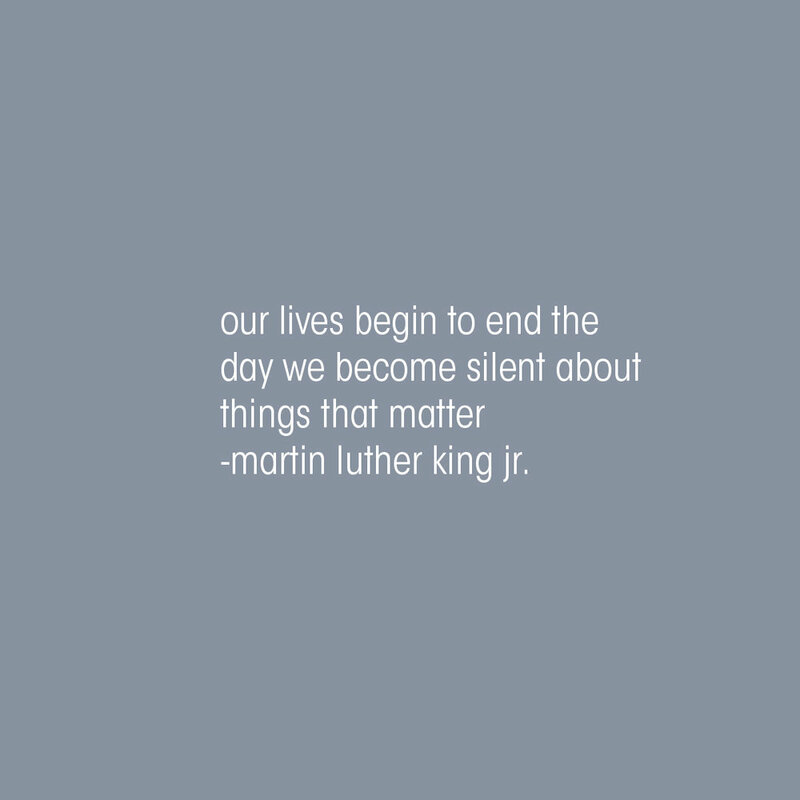 As unfortunate as it is that we are still struggling to reach the goals of people like Martin Luther King we are getting somewhere but we must continue to speak up. We have to help each other, support each other and be fearless together.